I saw The Cove reviewed for the Oscars. it looked like a heartbreaker. One of the slaughter scenes was particularly painful to watch as a wounded dolphin tried to get away from the killing area. That really made me teary. They kept saying how dolphin are mammals and they were really experiencing some heavy duty depression in captivity. The Filpper trainer said one of his dolphins “committed suicide”… in that dolphins breathe voluntarily and she decided to take her last breath in his arms, that is what let to his initial activism and setting free a lot of dolphins which he got in a lot of trouble for. 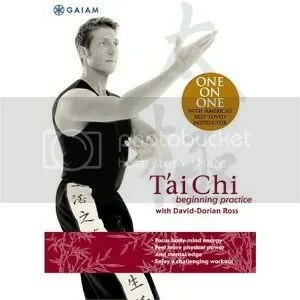 Anyway, it’s very said, but it is an eye opener and the message goes far beyond just the dolphins. Thanks for stopping by, Tina. Thanks for your super kind and supportive words, Silence. That’s funny about the Lindsay story, hadn’t seen that one yet….Thanks also for your ideas about local opportunities. I hadn’t even considered teaching classes. It can’t hurt to make a phone call right? I really thankful that DH has a a few good clients right now, so even though everything is still sporadic, we don’t have all our eggs in one basket, so to speak. Happy St. Patrick’s Day and thanks again for your words, I need to take only the positive to heart and let the other stuff bounce off. You’re right a lot of it is really hard to watch and I don’t usually cry during movies, except during some really sappy parts 🙂 Definitely not for everyone. I wouldn’t mess with anyone who cruel to animals either. I was really appalled by some of the rooster hutches I saw in Hawaii. WOW. 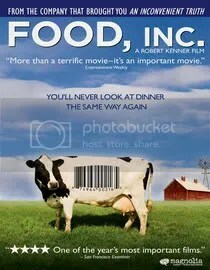 I found Food Inc really disturbing. I can’t say it completely put me off meat, but I’m definitely thinking twice before picking up and supermarket meat. Pretty scary – especially since my neice was hospitalized with e.coli last year – gave us all a horrible scare. Horrifying also the number of government ag officials who are former Monsanto executives! 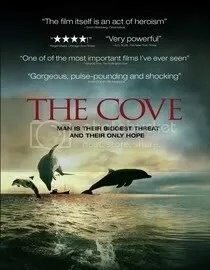 I really want to see The Cove, too. Jen, SO sorry to hear about you niece. Wow. Those stories of e-coli are some of the scariest. You’re right about the executive in the government, I knew that they were intertwined, but I was still shocked at the extent. A real eye-opener. Just like Fast-Food Nation.